6 Tips for creating a crowd pleasing Super Fun Easter Egg Hunt! 6 Tips for a Super Fun Easter Egg Hunt! 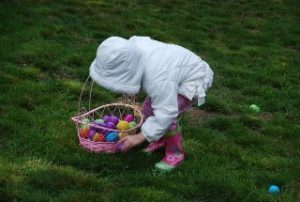 The Easter Egg Hunt is a tradition in our family and something that all the kids in our neighbourhood look forward to. It is becoming such an event that I have put together some tips for any novices out there preparing their first Easter Egg Hunt. 1. Be Prepared for the Easter Egg Hunt! Make sure you have a good selection of eggs in varying sizes, flavours and colours.. Have Easter baskets or paper bags with the kids names on them all ready to go so that there are no arguments at the end about who’s bag is whose. 2. Keep the Egg Hunt a Secret! Make sure when you set off to hide the Easter Eggs there aren’t any cheeky kids spying on you. 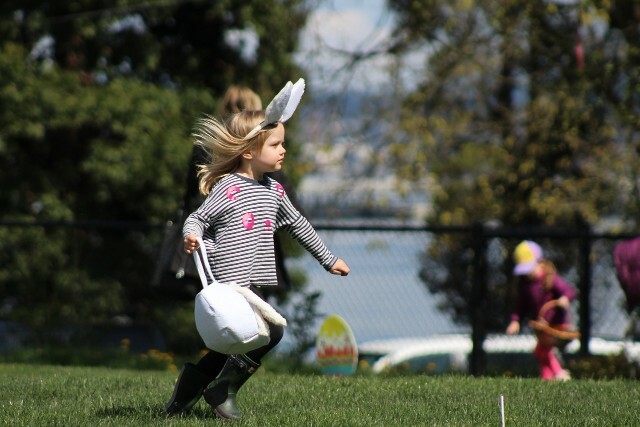 It’s actually harder than you think to duck away from a group of excited Easter Egg hunters without being noticed. A good idea is to have another adult occupy them with a game in another area so that their attention is focussed elsewhere. Don’t just stand on the back deck and throw the Eggs as far as you can…. Get a little creative! Make up some bunny paw prints by cutting a template out of cardboard lay it down on the ground and sprinkle with talcum powder. These work great outside on the grass or driveway but are a little messy if you are having an indoor egg hunt. They are also a bit time consuming and you don’t want to get sprung mid powdering! 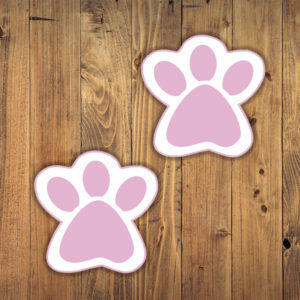 For a quicker, cleaner option we sell cute stick on bunny prints that are quick and easy to apply to your floor and they are removable too, so easy to come off and save again for next year! You can find them here! 4. Cater for all Ages! My family all get together every year to have a big egg hunt with all the kids, which means there are babies as young as 11 months and teens up to 14 years old (this isn’t including the adults who like to join in also – you are never too old to have fun!) So one thing to always remember is to hide eggs in places for all ages/heights etc. We always make sure there are some low lying eggs in easy to find places for the younger kids and then we start to make it a little trickier and go higher up for the older kids / adults. We let the younger kids have a head start so that they don’t get bowled over by the bigger, older ones. It works well, everyone ends up finding loads of eggs and it’s always heaps of fun. This one we learnt the hard way! Make sure you have some spare eggs stashed inside for anyone who’s bag or basket looks a little on the empty side. This way you can quickly and quietly top it up before the meltdown begins. 6. Our final tip – JUST HAVE FUN! At the end of the day it’s not about the chocolate or who got what, it’s about spending time with our family and friends and enjoying the company. So above all, keep it light hearted and fun, and you can always split the eggs evenly at the end….. good luck with that!